The Blue and Gold is the official student run newspaper of Chamblee Charter High School in Chamblee, Georgia. 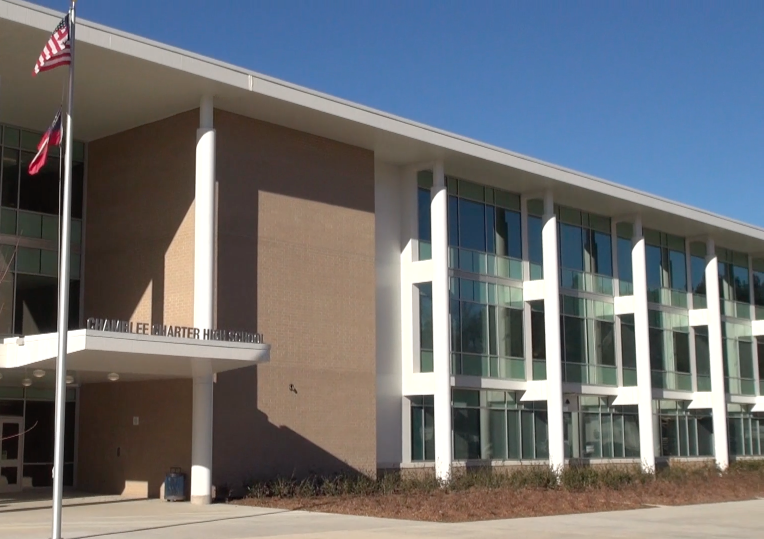 “Chamblee Charter High School is a public secondary school located in Chamblee, Georgia, United States. As of 2010, it serves 1512 students in grades 9-12. It is the second oldest high school of the DeKalb County School System, having opened in 1917. Chamblee is a charter school and therefore accepts students from all of Dekalb County as well as from its local district. Chamblee was named a National Blue Ribbon School of Excellence in 1996 and is one of 27% of schools in Dekalb to make the AYP of the No Child Left Behind Act. CHS was ranked #215 of the 1500 best public high schools by Newsweek magazine. Its students’ SAT scores are ranked first in Dekalb County and sixth in the state.